****Property is available for inspection/lease from the 21st April**** Who are we? We are a relaxed and professional young family with two kids, two dogs and a cat and four chickens. 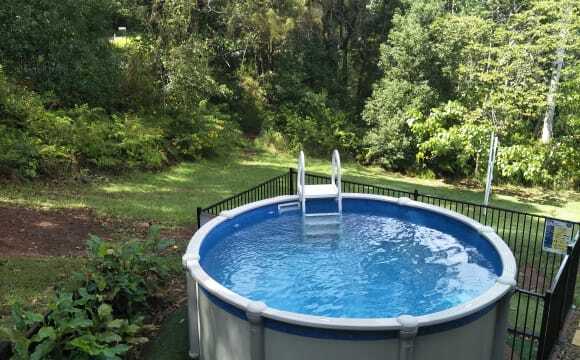 We live on a unique 2 acre property less than five minutes to the centre of Buderim. We are non-smokers, very occasional social drinkers (let's be honest here, with energetic kids we're usually crashed out asleep by 8). Our kids are great but they are typical kids and they do make occasional noise or scuffle. We work full time and love spending our time off relaxing around the house. We grow alot of our own fruit and vegetables and are conscious of the environment and creating a happy, positive and safe home for our family. We are seeking someone with similar values who would like to find a happy, comfortable space to call home long term. Please note we have ZERO tolerance to drugs, illicit substances and antisocial behaviours, as this is our home too. What we have? Our house is two storey. We occupy the upper level. We have available for rent the entire downstairs area. Downstairs is a completely self contained two bedroom apartment for the exclusive use of the downstairs resident/s. 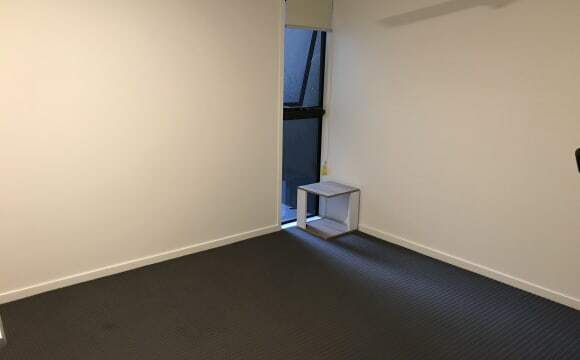 The unit was built in early 2018 and we've had a lovely tenant and her kiddos with us for the past year, however she's relocating so now the space is available again. There is no internal access between upstairs and downstairs, it's private and completely your own and has its own separate locked entry. To call it a granny flat would not do this space justice. It features two generous bedrooms both with built in wardrobes and ceiling fans. Each bedroom leads into a common open plan living/dining/kitchenette area. Kitchenette doesn't have a built in oven but does come with a bench top portable hot plate and bench top toaster oven included and a dishwasher (not pictured). There's ample space outside for a byo BBQ set up. There is one bathroom between the two bedrooms which has laundry taps and space for a washer and dryer. All rooms look out to uninterrupted acreage bush views. It really is magic and needs to inspected to fully appreciate it. The living area leads to an outdoor covered patio for the use of our downstairs residents as well. The gardens surrounding the unit are shared by both downstairs and upstairs so you will see us pottering around the veggie patch or jumping on the trampoline quite a bit (the kids jump, I potter). We also have a fire pit where we enjoy the occasional weekend campfire and would welcome you to join us and we have an above-ground pool shared between upstairs and downstairs for cooling off in the summer months. Parking is off street however it is uncovered. Apartment is unfurnished although we do have quite a few spare bits and pieces in storage if you need to borrow any furniture. Our dogs are contained in a separate dog yard away from yourselves however our cat is a free range friendly old cat and she may come say hello or bask in the sun on the patio. If you are allergic to or dislike cats this may not be the place for you. We also have chickens that roam around and occasionally lay us eggs when they feel like it and a bush turkey, who's decided she's a chicken too when she feels like it. Again, if you don't like birds, maybe look away now. Who are you? You will definitely be a non-smoker. You may have kid/s or not, be single or in a couple, we don't mind and welcome applications from all walks of life (LGBTQ+ friendly). The important thing for us is finding the right personality fit for a long term tenant where we all feel safe, comfortable and happy. You will be -employed with a steady income and have good past rental and work references available; -be able to provide 4 weeks bond and stay two weeks ahead in rental payments. The space is not suitable for any additional pets. If you enjoy bushwalking there is also a great public track near our property. If you enjoy gardening and growing your own herbs and fruit and veggies, you will love it here. Location? We are located in Mons, which is a cool little rural pocket just around the corner from Buderim. We are five minutes to Buderim town centre, five minutes to the Bruce Highway, 10 minutes to the Uni and about 10 minutes into Maroochydore. There is a bus stop right near our house although having a car is recommended as buses aren't super frequent. Specifics? Rent is $330 per week which includes excellent broadband Wi-Fi, water and power costs. This is based on 1 - 2 occupants on a long term lease. Larger groups e.g small families etc may be charged a tiny bit higher just to cover additional water and power usage - but we're happy to discuss and negotiate. We'd also be open to shorter lease terms, e.g if you are in between buying/selling, moving, whatever, however again, we'd be happy to negotiate and discuss depending on the situation. Drop me a line if you think this might be for you and tell me a bit about yourself/selves, we'd love to hear from you and we can work out an inspection time to suit. Our current tenant is moving out over the next few weeks so with respect to her we'd prefer not to hold any inspections until the unit is vacated. That being said, if you are interested we'd love to hear from you and we'd be happy to show you around from the 21st onwards. This is an all inclusive private unit in the downstairs living quarters of a townhouse. The tenants living upstairs are completely separate with no access to your private unit other than a shared entry point into the main hallway of the house. The unit is a ground level, one bedroom suite that is fully self-contained. The unit includes - one fully functioning bathroom, fully functional kitchen with full stove top and oven, living room, one master bedroom with access directly to the bathroom and a build in wardrobe, private outdoor patio area and a shared laundry. Both the living room and bedroom have ceiling fans and there is an air-conditioner in the living area. There is one remote controlled fully lockable garage that is also for your sole use. All bills are inclusive of the rent including - power, water and unlimited wifi internet. The unit is able to be fully furnished, or unfurnished if you have your own furniture. The only thing that is unable to be removed is the queen bed in the bedroom as it is a Murphy bed (It is attached and folds up into the wall to save space!) 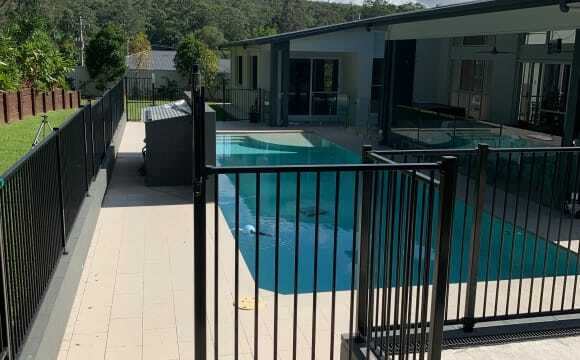 This unit is so close to the coast and only a 10 minute walk into the heart of Buderim town centre with grocery stores, cafes, takeout stores, doctors and much more. The landlord is wanting a 6 month lease term, with the possibility to extend. This unit is available from May 1st! 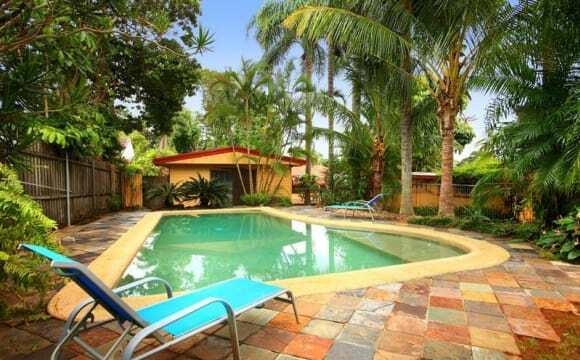 Close walking distance to the village , Cafe's shops and to the Forest Park in Buderim. Drive to the University in 15 minutes. The property is large, we are surrounded by nature, and lots of birds. This is a very modern new home, and we have been living here 18 months. We have not rented out the external flat or granny flat at all, the kids just play in it. 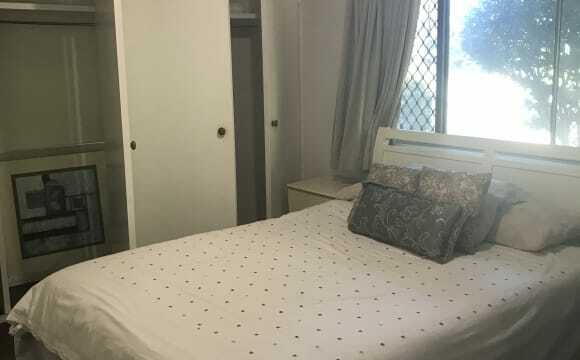 it is not attached to the main house The Granny flat consists of 2 rooms, one very large room, the other standard size, large Lounge/TV room, laundry , and BIG kitchen which has a study table in it too. The one room has a home gym in it, which can be removed, but if you want to keep it, to use it, that’s also fine. The flat is separate from the main home, the flat or rooms are private, however, my house is not so private, as we don’t have blinds, we love to view the trees and birds. There are some Pro’s and con’s to living here, which I will list 1. No boyfriends or males on site, go to the beach if you want to cuddle :) 2. Happy for you to bring over girlfriends and have a wine, or a bbq. (I will supply you with a bbq.) 3. WE have a firepit next to the pool, which we use maybe once a week, welcome to use it, or join in. 4. WE have a large pool, 15 meters long, you welcome to use it 5. The use of the jacuzzi is by request only, as it really uses a lot of electricity, we do use it every night for about 30 minutes to an hour. 6. The flat has a large kitchen, dishwasher+double door fridge and a study area , and a laundry room with washing machine and tumble dryer , ideally must be used between 9am and 2pm, as we have a large solar system, and we tend to make use of the solar system energy. 7. The flat is attached to my “shed” which isn’t really a shed, its more like a big house, however, I am in my shed daily. 8. Parking is on site, however, not undercover. If your car leaks oil, then you can park in the street, which is very safe as we have very few homes in the street. 9. Our kids tends to swim without clothing, and sometimes we will jump in the jacuzzi , however, we will try and be as modest and respectful to the person renting, but our home is very open, so we prefer to rent to people who are more open minded about these sorts of stuff, as ideally we would not want to completely change our own habits if need be. (Its quirky one  ) 10. The shed has its own gas, which you will be responsible to replace when it runs out. 11. Electricity Is included. 12. We have rainwater, and it gets filtered, so our water is super clean, soft and awesome to drink. 13. The Lounge is large, I will fit a nice 65 inch TV, with apple TV. 14. I will include Netflix, but I have a full movie and series repository, which you will have access to and can watch your heart’s desire out on the TV, or your IPAD or PC. 15. The one room is very large, it’s the room with the gym, if you want, im happy to rent that to two people to share at extra $50, happy to put its own big TV in this room too. 16. My kids are strictly in bed by 7:30pm, so be considered with music after that time. 17. You welcome to work in the garden, you will find me either in my shed, or garden, as we love our home. 18. We keep our property neat and tidy, and we are super proud of our home. 19. WE have a small miniature foxy, who is super active, im not sure he will like cats , but he has never seen one. We are open to someone having a dog. Our dog is a child to us. 20. Ideally, renting to someone who gets along with the kids would be super great, and also , if you open to babysitting , we happy to pay our fees, as we make use of a babysitter currently , meaning, you could easily half your rent for a few hours of babysitting. Same goes with my dog, happy to pay you to look after him when we travel, or come to an arrangement if you have a dog. 21. My property is fully fenced, with an electric gate. If you can live with the above, then apply. Included features are unlimited internet, a separate kitchenette, walking distance to parks, bus stops, IGA, Woolworths, heaps of restaurants, and a 5 minute drive to the University of the Sunshine Coast. It's also a 10 minute drive to Sunshine Plaza and the beach (both accessible by bus too). Our street is very quiet and relaxing, perfect for someone who is a busy worker or university student. Available after 01/05/19. Short walk to the shops including Woolworths and cafes from the self contained flat attached to the main house. There is a bus stop to USC and Maroochydore is almost at front. The place is basic but clean and functional. Each room has a double bed and closet. Offered upto three months for one person but 2+ people can be considered for extra $$/w if the stay is &lt; 4 weeks. Happy to accommodate a weekly stay. - Swimming Pool Kitchenette (pots, pans, plates etc provided) Shared laundry No party allowed - If you don't have your profile please tell us a little about yourself when you send a message. Travelers, international students and work placement students welcome. We (family of three) live in the main house. The townhouse is brand new. We are the first tenants here. The townhouse is pristine and we want to keep it that way. We have furnished your room purely with you in mind we have bought a new bed and bedding. The townhouse is a quick walk from coffee shops with Woolworths only a 3 minute drive. It's only a quick run to the University. The townhouse is on the main drag in Buderim. All the banks and takeaway shops are a short drive. You will like the country charm in the coffee shops. We have our own beautiful furniture not displayed here. 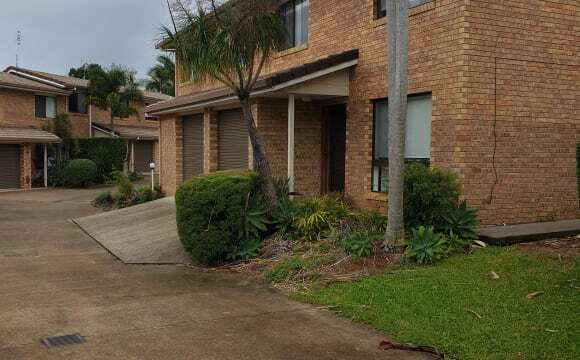 This beautiful townhouse is 5 mins walk to the bus stop to both USC and Nambour station directions. 15 mins walk to USC, walking distance to Coles, coffee shop, foodworks,and Anytime fitness. **Please note: I am looking for the right housemate. Viewing of the room will be considered if you are found to be the right fit. Please no couples. 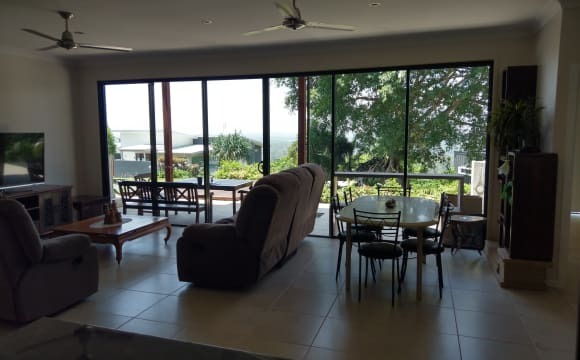 ** The unit I am moving into is based at Atrium apartments in Buderim. The complex has both apartments and townhouses with adequate parking spaces and 4 swimming pools. Within walking distance to Anytime Fitness, Foodworks, Coles and University of the Sunshine Coast. 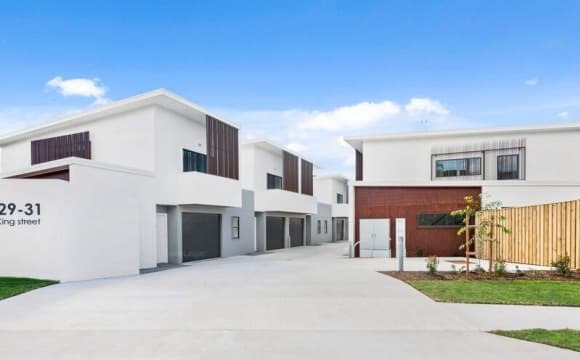 This is a four bedroom double story townhouse located across from the Sunshine Coast University campus at Sippy Downs. It is a ten minute walk to the university, bus stop and the new Coles shopping complex. It is also a short drive to the Chancellor Shopping complex, Mooloolaba Beach and the Sunshine Plaza. Preferably looking for someone that works full time, shift work, or studies and works. No pets. The house has air conditioning in main living areas, a small garden and quite a large living space both up and downstairs. All bills and internet included in rent. Off road car-parking available. Just outside the door of this property is a pool and BBQ area. The bathroom is a shared bathroom. The room is furnished with a double bed and desk, however furniture can be moved if not needed in the room. 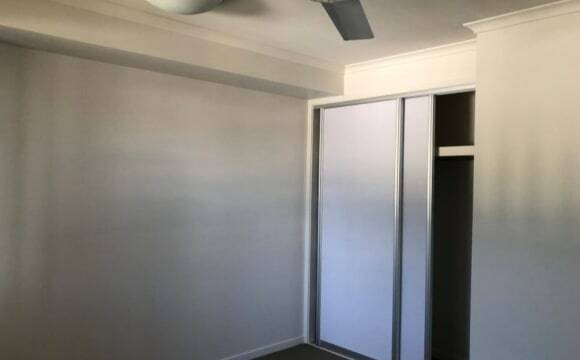 Nice tidy home only a few minutes drive to Maroochydore centre and beaches. On a quiet crescent, few hundred meters to cafes and bottle shop. Off street parking with a nice back garden and herb garden. Got a nice little outdoor living area out the back out the house which opens on the garden. Sorry no pets considered! Can choose from a bigger room with a fan or a smaller room with A/C. Both have built in robes. Got high speed unlimited internet. Four bed house but will keep one free for storage and guests. Essentially you will be living with two and a half people (I'm not home half the time) in a four bed house so plenty of space The house is fully furnished apart from bedrooms so you'll just need a bed. Kitchen is fully kitted out. I own the house so I keep the place tidy and well maintained, no dealing with real estates. Bills will be $20/week which cover electricity, water and internet. This is my dream home, it has amazing views from every room, the garden is a 3 story rock with paths leading to the top of the cliff and surrounded by rainforest. Upstairs is 2 bedrooms with a bathroom, (shower and bath and a separate toilet.) 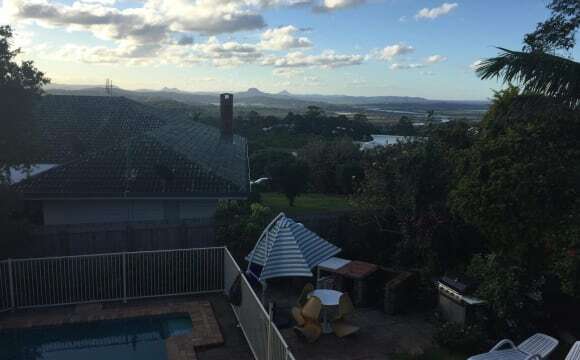 There is a sitting room and a patio with views to the ocean and the Glasshouse mountains. It is private being separated from downstairs. 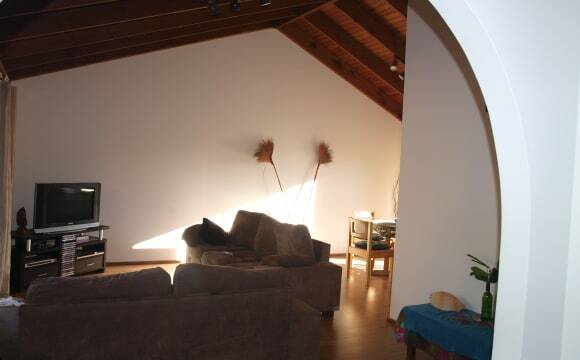 It is a very quiet neighbourhood and it is 5 minutes drive to the beach, University or the Plaza. 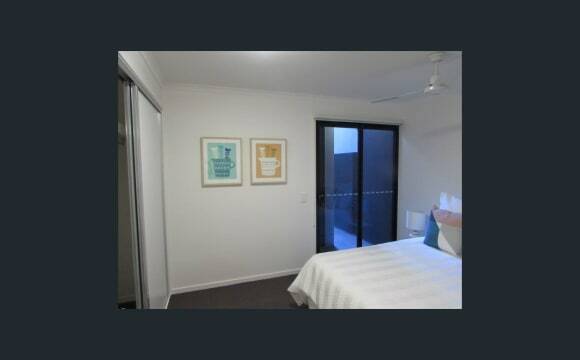 My apartment has NBN connected, air-conditioning in the living room, a balcony that over looks the pool which you will have access to, a secure underground parking spot and a multipurpose room that can be used as your own personal living room. Quiet, healthy and spacious. Internet included in rent. House is walking distance to University and shops. Two separate living areas and big patio.